Το θέμα της σύστασης Αγροδιατροφικής Σύμπραξης στην Περιφέρεια Ιονίων Νήσων εισηγήθηκε στο Περιφερειακό Συμβούλιο ο περιφερειακός σύμβουλος Γιάννης Κουλούρης, τονίζοντας ότι προηγήθηκε συζήτηση και διαβούλευση με παραγωγικούς φορείς σε όλα τα Ιόνια Νησιά. The atmosphere at the meetings was very positive and the establishment of agro-food Partnership comes to achieving the objectives of the strategic plan for productive reconstruction of the local economies of the islands. 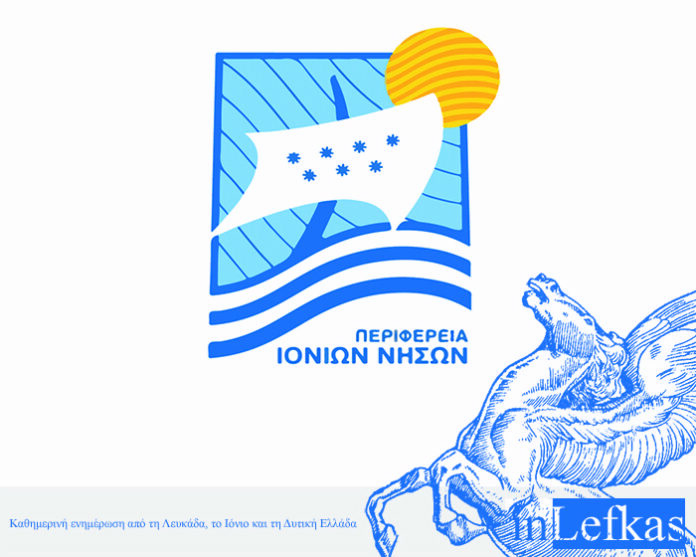 The beginning was made with the suggestion of Regional Governor Theodoros Galiatsatos at 23 April in Lefkada, which was enthusiastically welcomed by producers and farmers, for the certification of products of the Ionian land, the establishment of a mark of origin and the promotion of local products and for close cooperation NGOs - agricultural, productive organizations. "The establishment of Agro-Dietary is part of our strategic planning, as we have made public with our programmatic statements," said Regional Governor Theodoros Galiatsatos and continued: "It began to be implemented in cooperation with producers and standardizers and participation in Food and Primary Sectors' Exhibitions. So we opened up a channel of communication with producers and farmers and in April at the lecture held in Lefkada the idea matured along with the necessity of promoting and strengthening the production of local products. We are on the side of those who are seeking cooperation and with the establishment of Agri-Food, the needs of the rural and productive world of the islands are essentially met. In cooperation with the Agricultural Unions and the bodies we are making this partnership and, necessarily, within the existing framework (European, state, legal etc.) that is in force, we will find channels to support the Ionian production. " The Partnership will be governed by a board, the majority of which will be the Region, will last 20 years which can be extended by the General Assembly and its resources will come from the corporate shares, the annual membership fee and any extraordinary contributions, fees from its function, grants from national and European authorities, possible sponsorships etc. Objectives of the partnership is to support farm income, increasing the degree of food sovereignty of the islands, improving the quality of life in the countryside, consumer protection and human and animal health, the fairer producer prices and consumer protection of the natural environment and sustainable management of natural resources of the islands. Ενδεικτικές δράσεις που ανέφερε στην εισήγησή του ο κ. Κουλούρης είναι: Διατύπωση προτάσεων προς την ΠΙΝ για την ανάπτυξη του Πρωτογενούς Τομέα και προς κάθε ενδιαφερόμενο για την παραγωγή, τυποποίηση, εμπορία, προβολή και προώθηση καθώς και την πιστοποίηση των τοπικών αγροδιατροφικών προϊόντων. Σύνταξη μελετών και σχεδίων καθώς και φακέλων υποψηφιότητας για χρηματοδοτικά προγράμματα καθώς και συμμετοχή σε αυτά. Compilation of the Ionian Quality Pact and the mechanism for the award and control of the Ionian Sign of Quality under the name "Product of Ionian Earth". Διασύνδεση του Αγροτικού και Τουριστικού Τομέα Ιονίων Νήσων κ.α. The Regional Council has decided by majority recommendation agrifood Partnership Ionian Islands.